Our task requires constant technical and academic updating which we achieve through teaching and by participating in international events, courses and conferences. Thought and Action- 51st Landscape Architects Federation International Congress. Buenos Aires, Argentina. Lecturer. Conference A retrospective visión of Siempreverde studio’s Works” Landscape design seminar "Primavera Blanca". (White Spring) Villa La Angostura. Argentina. Lecturer. Conference: “Landscape Design and geographical regions”. Garden Sur Group. Montevideo, Uruguay. Attended: Landscape Urbe 6 (Urban landscape): “Dialogue among three rivers”. Palermo University, Buenos Aires, Argentina. Attended. Paisajes Emergentes Emerging Landscapes. IFLA’s Regional Congress. Americas. Foundation Pablo Atchugarry, Maldonado, Uruguay. Lecturer. Conference: The perception of the site and the landscape design” Paisaje Patagonia – San Martín de los Andes, Argentina. Lecturer. 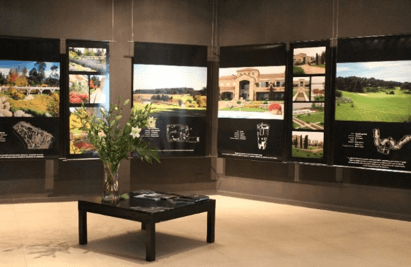 Conference: Encounter of two Cultures” Organized by Devnet Pavillion and Shangai- Landscape Design Committee of Garden Green Industry Association. Shangai - China. Lecturer. Forum about disaster risks reduction- Organized by: United Nations UNISDR, UN-HABITAT, Gobiernos Locales por la Sustentabilidad (ICLEI) (Local Governments in favour of sustainability) and Development Network Association (DEVNET). Universal Exibition Shangai 2010 - China. Lecturer. Master Class in the 2nd National Encounter of the Argentinean Landscape Net-l Universidad Nacional – Mendoza, Argentina. Lecturer: Conference: “The perception of the site and the landscape scheming” Palermo University, Buenos Aires, Argentina. Lecturer. Conference: “The Landscape is printed in their people’s activities” Palermo University, Buenos Aires, Argentina. Attended- FUNDAPAS: “Art and Landscape, pieces of art support environmental and landscape values”. Foundation Pablo Atchugarry, Maldonado, Uruguay. Lecturer. 1st Paisaje Urbe- Theme Observatory -Conference: “Landscape and City”. Palermo University, Buenos Aires, Argentina. Participatory Forum “José Ignacio’s sustainable Development”, Uruguay. 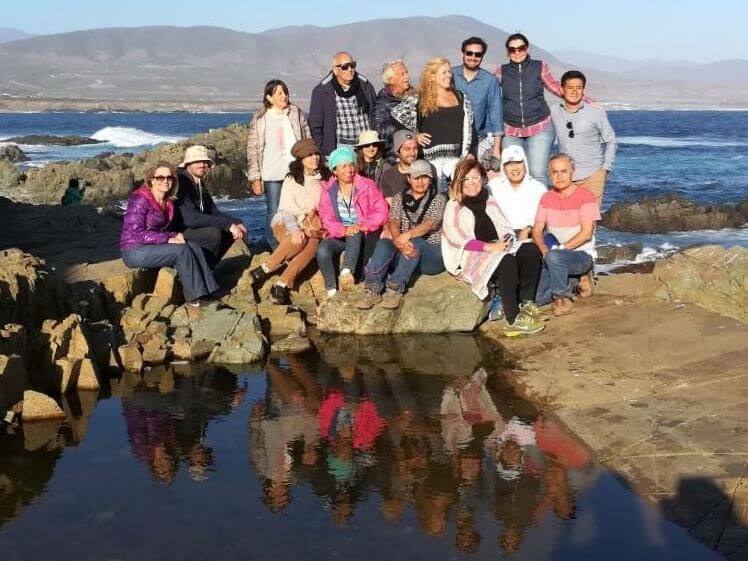 Attendant and Exhibitor / IFLA World Congress “Water, Life in the landscape” Lima - Perú. 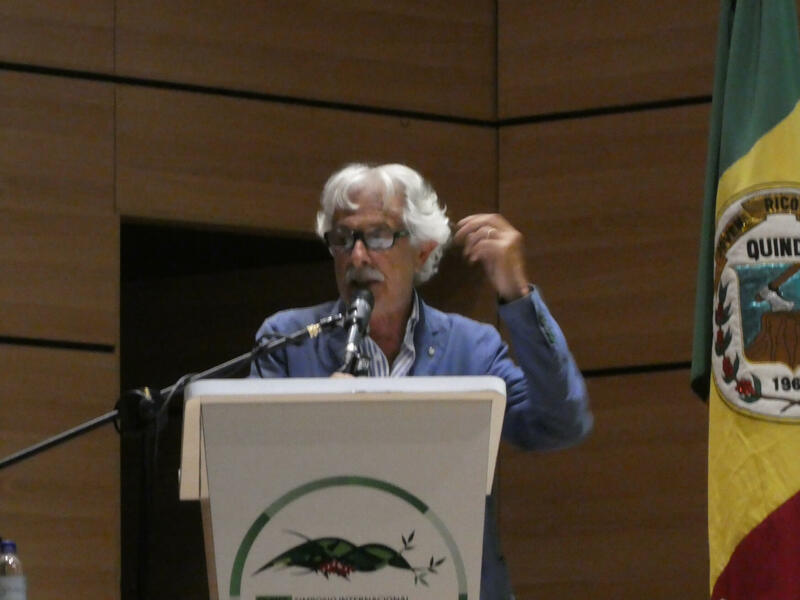 Lecturer at Congress "Congreso Integral del Paisaje". Province of Córdoba, Argentina. Opening Conference “Preservation of the natural landscape and sustainable development” in VI Argentinean Architectural Landscape Congress, Rosario, Province of Santa Fe, Argentina. Lecture in Cantegril Country, Club Punta del Este and retrospective show of the studio's works. 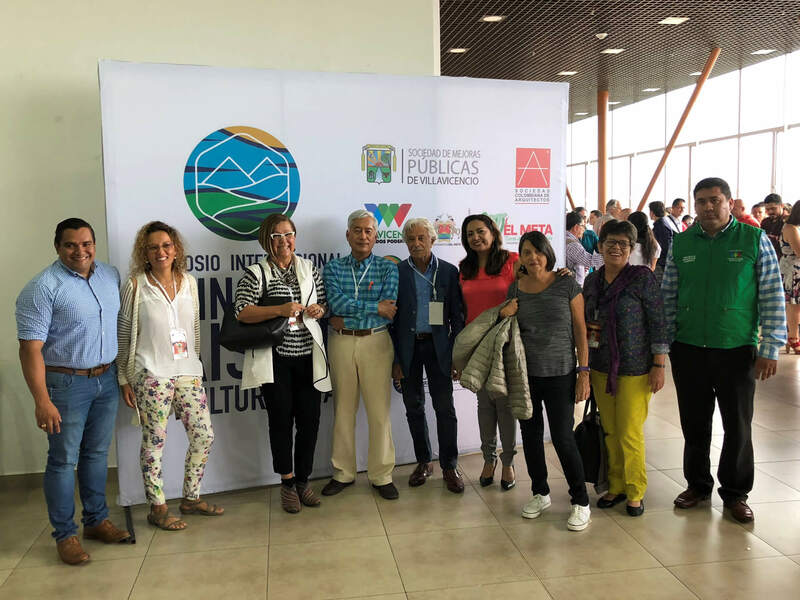 Participant/ 37th IFLA World Congress (International Federation of Landscape Architects) in San José, Costa Rica. Project, organization and production, together with Diseñadores Asociados (Associate Designers) of the show “Paisajes Efímeros” (Ephemeral landscapes) about theme gardens- supplies and academic activities in Buenos Aires Design, Recoleta. Director of “Parque de la Percepción” show, Las Cumbres, Punta del Este, Uruguay. Planner/Lecturer at Seminar “Landscape Architecture on the Verge of the Third Millennium”, Buenos Aires Design, Recoleta. Lecturer/ “1st Seminar about dynamic landscaping” from Integral Taller de Arquitectura in Buenos Aires. Exhibitor at 7th International Architecture Biennial in Buenos Aires. Organized by National Museum of Fine Arts and CAYC. Lecturer in the landscape conferences “Jardín abierto”, (Open Gardens) organizad by Acriculture faculty, U.B.A., in Viedma, Carmen de Patagones. Topic: “Native landscape recovery on River Uruguay's coast”. Lecturer “Sculptures in the Landscape” organizad by the Acriculture Faculty, U.B.A., in the Escuela Superior de Jardinería, Juan O. Hall. (Juan O. Hall Gardening School). Lecturer in Mercoflor'96 Landscapers boards, in Sociedad Rural de Palermo about “Landscape Preservation and Design”. Lecturer at conferences “Landscaping and its professionals in Argentina”, in the Chamber of Deputies (Audiences Room), organized by the Argentinean Landscapers Society and the Landscape Architects Centre. Presenting Siempreverde’s 20 years Retrospective in Buenos Aires Design, Recoleta, Buenos Aires, called; “Siempreverde, 20 years discovering sites and inventing spaces”. Professor at Seminar- Workshop aimed to Architects, “Proyectación del paisaje”, (Projecting the Landscape) presented by Mr. Jorge Glusber at CAYC (Art and Communication Centre), Buenos Aires. “The landscape-environment projection” Course at Maldonado’s Architects Society, in Maldonado and Punta del Este, Uruguay. Coordinator at MCBA School for teacher training and proficiency in “Environmental education”. Lecturer/ Coordinator at the “4th Conferences of Urban Forestry” in Cutralco, Plaza Huincul, Neuquén, Argentina. Coordinator of Multi-sector Board pro defense of Vicente Lopez’s coast. Participant and Lecturer at “3rd Urban Forestry Conferences” in Andacollo and Huingango, Neuquén, Argentina. Coordinator of the “Río Cuarto ’85 First Landscape Conferences”. Río Cuarto, Province of Córdoba. Participated as a special guest at the “1st Conferences of Urban Forestry”, organized by Municipalidad de la ciudad de Bs. As., Dirección de Paseos, in Teatro Municipal Gral. San Martín. 11th Paisaje Urbe “Education, Communication and Landscape” Universidad de Palermo, Bs. As, Argentina. 6th Argentinean Landscape Net National meeting- “The Landscape as a Social construction” Universidad de Palermo, Bs. As, Argentina. Speaker at Tendencias Estilo Pilar “Siempreverde’s Works retrospective Show, Pilar, Bs. As., Argentina. 51st Argentinean Landscape Architects Federation International Congress, Buenos Aires, Argentina. 8th Paisaje Urbe- “The landscape as a social construction and part of a sustainable development model” Universidad de Palermo, Bs. As., Argentina. 6th Paisaje Urbe “Three rivers dialogue” Universidad de Palermo, Bs. As., Argentina. 4th Argentinean Landscape Net meeting “The landscape in city outskirts. Problems and potentials” Rosario, Argentina. 5th Paisaje Urbe “Landscape and Commitment” Universidad de Palermo, Bs. As., Argentina. “Emerging Landscapes” IFLA Regional Congress- Las Americas- Fundación Pablo Atchugarry, Maldonado, ROU. Attended Conference “The perception of the site and landscape design” Universidad de Palermo, Argentina. 2nd Paisaje Urbe. “The landscape printed in their people’s activities” Universidad de Palermo, Bs. As., Argentina. Theme Observatory- 1st Paisaje Urbe- “City and Landscape” Universidad de Palermo, Bs. As., Argentina. Landscape Architecture Week- Universidad de Palermo, Bs. As, Argentina. Landscape Architecture Week- Conference. Universidad Torcuato Di Tella. Bs. As., Argentina. America’s Landscape Architecture meeting, “Water; landscape’s life” Lima, Perú. Recovery of old trees, delivered by Ing. Bargiela. 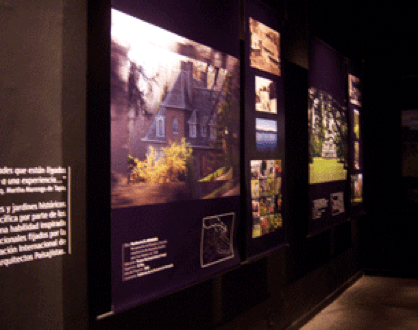 Project, organisation and production, together with Diseñadores Asociados in Buenos Aires Design, Recoleta, of the show “ Ephemeral Landscapes” :theme gardens, inputs and academic activities, Buenos Aires, Argentina.